I know the SiriusXM video of 1975 in my last post was painful for fledgeling fans (myself included) who heard and loved "Chocolate" on the radio. I don't know what to say. I still stand 100% behind my disdain for their SiriusXM exclusive performance—from bottom of tank top to tip of slurring tongue, it is insufferable. But maybe they're OK. I've been wrong before. I once idolized Oscar Pistorius, initially thought the song "Reflektor" by Arcade Fire was too long, and didn't think the word "actionable" would ever catch on. More poignantly, I've recently become interested in Snow Patrol's Gary Lightbody, who sings that song I love with Taylor Swift. I noticed him on Twitter because he became engrossed in the show Hannibal around the same time I did. I also noticed that he read and loved The Sisters Brothers (one of my faves) and that he formed the band Tired Pony with REM's Peter Buck. I love their newest album and when I was reading up on them I noticed that they are performing in Ireland this summer with none other than—you guessed it—1975. As I went down the Snow Patrol rabbit hole I gained an appreciation for their classic hit "Chasing Cars" which became famous on Greys Anatomy. What I like about it is that, instead of getting sick of an old song that fans love, Lightbody has embraced it and appreciates it and loves it, even reworking it into something new and even more beloved. When I watched the original video of it I thought that I might not have liked it when it first came out. As Seymour Chase commented on my last post and Jerry Seinfeld proclaimed, "I can't watch a man sing a song." But I would have been wrong. 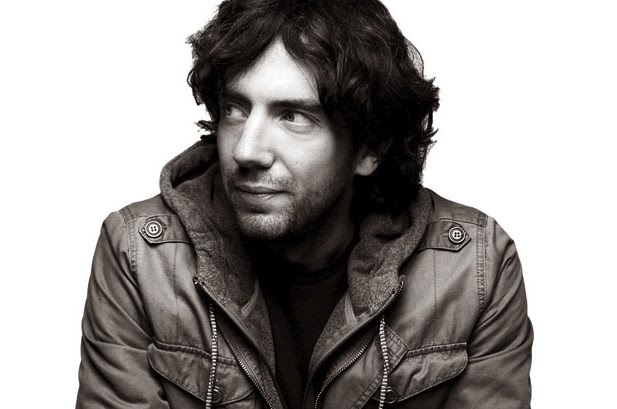 Gary Lightbody is big-hearted, interesting, and articulate. This, for example, is fantastic and lovely. I'm all in, Snow Patrol. I used to hate a woman in my ward. I thought she was awful. I even had "proof." But I was wrong. She's fine and she would help me if I needed it. There is also a guy in my stake who I thought was ridiculous and horrible. But in the context of this world and all the people in it he is not ridiculous, he is good. I mention examples from my ward and stake because, like family, they are the ones I have an ongoing relationship with even if I don't want to. On the whole I'm finding, begrudgingly, people tend to win me over. Not 1975—not yet, at least. But I'm open to the possibility. I was just thinking about this phenom yesterday (can it be a little phenomenon?) when I reflected on people who I've worked with that didn't like me, or I didn't like them (or both) and how we ultimately grew into great working relationships. It seems those are the best ones in the end. Yeah, it's always in situations where you don't get to choose to stop hanging out with someone you don't like that you end up pushing through. What if every situation were like that? Would I not hate anyone? Pretty sure I'd still hate Phil Spector no matter what. Yes, music has a healing power. I always knew it. I think I will order customize writing essays to cover this topic in-depth.